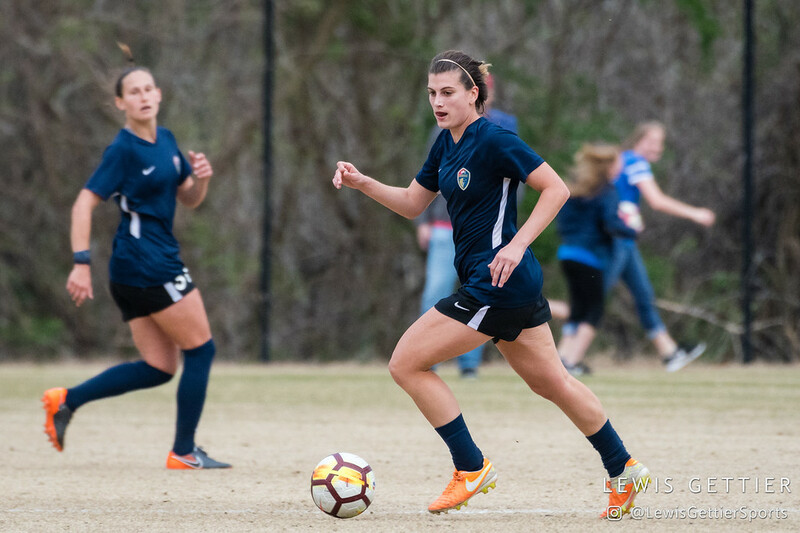 Also in today’s roundup, the North Carolina Courage sign Cari Roccaro to 2018 roster and Sarah Teegarden as National Team Replacement player. Thailand 3-1 Philippines: Thailand defeated the Philippines, 3-1, to advance to the semifinals of the 2018 Asian Cup. More importantly, the win secures the team’s spot in the 2019 World Cup in France, only their second appearance on the world’s biggest stage following their 2015 tournament debut. Kanjana Sung-Ngoen, who scored a brace in the 2014 Asian Cup fifth-place match to lift Thailand over Vietnam to send them to the 2015 World Cup, once again worked her scoring magic in Thursday’s qualifier. The 31-year-old forward scored a goal in each half, and her brace once again was the deciding factor for Thailand. Silawan Intamee added a third goal for Thailand to secure their trip to France. Jesse Shugg scored a late consolation goal for the Philippines, but it was not enough. The country can still qualify for the World Cup if they win Monday’s playoff for fifth place. Jordan 1-8 China PR: The 2018 Asian Cup hosts were eliminated after being dominated, 8-1, by China in Thursday’s qualifying match. Wang Shuang, who finished with a hat trick on the day, opened up scoring in the 14th minute, only to have Jordan pull back level three minutes later through Sarah Abu Sabbah. An own goal by Yasmeen Khair put China back in the lead shortly before halftime, and China never again relinquished their lead, scoring six more in the second half. In addition to Wang Shuang’s triple, Li Ying also scored a brace, while Tang Jiali scored in the 86th minute for the final goal of the match. China had previously secured their spot in the 2019 World Cup with their win over the Philippines on Monday, but the win over Jordan sees them remain perfect in qualifying action to win their group and advance to the tournament semifinals. The North Carolina Courage announced on Thursday that they had finalized their 2018 NWSL season roster with the signing of Cari Roccaro. With the signing, Roccaro is reunited with head coach Paul Riley, who coached her during her time with the WPSL Elite’s New York Fury. Roccaro, taken as the No. 5 overall pick in the 2016 draft, spent the last two seasons with the Houston Dash, where she made 30 starts in 33 total appearances before being waived by the Dash ahead of the 2018 season. She most recently played with North Carolina in their scrimmage against Duke university last Friday during the latest international break. 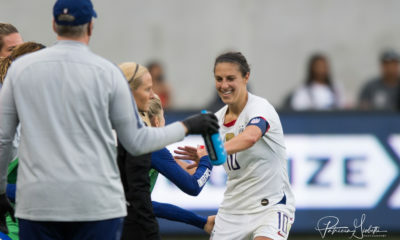 The Courage announced at the same time the signing of midfielder Sarah Teegarden as a National Team Replacement player while Debinha is away on international duty with Brazil for the Copa America. 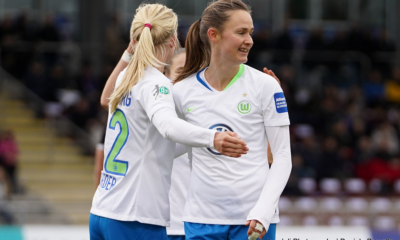 Teegarden spent the 2018 NWSL preseason as a non-roster invitee in camp with the Courage after spending last year playing for Kopparbergs Göteborg FC in Sweden.